In the spirit of a small town, Maple Lawn was designed with numerous features that make it easy to get around while also reducing the need to drive from place to place. This includes a network of interconnected pedestrian-oriented streets that are tree-lined and friendly to walk. You’ll also find on-street parking to make it convenient to shop or visit a business. Howard County offers a regional carpooling and vanpooling program as well as a no-questions-asked Guaranteed Ride Home Program for both residents and employees. 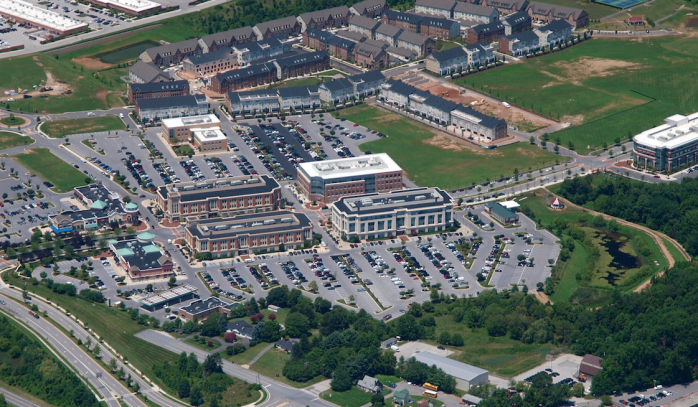 For our corporate tenants, we offer high occupancy parking lots.